Babies change so fast, it is really easy to forget the little achievements; and things that seem massive now might pale into insignificance as they get older. So I thought it would be interesting and fun, as well as an aide-memoire, if I wrote a small update each month of Rosalie’s ‘skills’ – ones she’s mastered and those that she’s working towards. 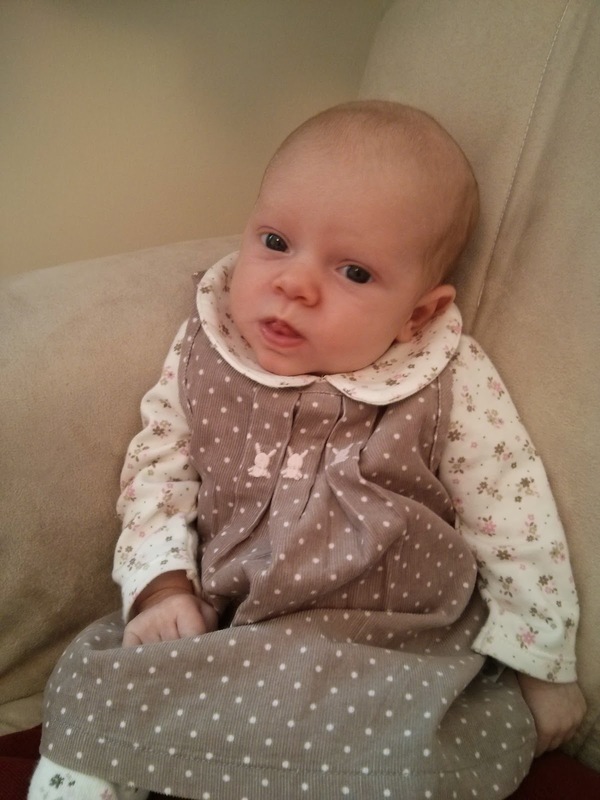 So here is a summary of Rosalie’s development over her first four weeks of life. Even in the womb she was a real wriggler. I often wondered “when does this baby sleep?” Because she was just so damn wriggly; and when she wasn’t wriggling she was hiccuping, and this happened a lot. So, it was no real surprise I suppose that once she was born she continued to wriggle and hiccup her way through the day… and night! Rosalie could never be described as a ‘calm’ baby as her legs are always pedalling away – on the change mat, in the bouncy chair, under the blankets in the cot. She is also trying desperately hard to smile so I think we might get our first one of those soon! She has yet to master breastfeeding, but we are struggling on. I know it is a skill we have to learn together so I am just as much to blame here, but come on Rosalie, we need you to start putting on some proper weight poppet. Rosalie at 1 month old, showing us her tongue poking skills.